Is your credit card company threatening to shut down your right to process credit cards? Have you been told you need to get PCI compliant and don't really know where to begin? 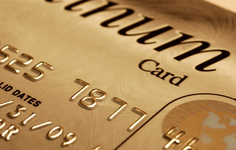 Worried about Credit Card Compliance? Need some PCI Compliance help? Do you need to improve cardholder information security to meet credit card compliance requirements? Are you confused about what PCI compliance means – and how a small business like yours can become PCI compliant under new credit card compliance standards? You are not alone! Businesses of all sizes are now required to certify that they meet certain PCI compliance standards to improve cardholder information security – and Continental Computer Services can help you get there. We take the jargon out of PCI compliance and help you through the process. We can help you determine the level of PCI compliance your bank is expecting for your size business. And we are just the folks who can actually do the work you need done – work like building or maintaining a secure network, identifying and developing controls for internet access points, or even creating a cardholder information security policy. PCI stands for Payment Card Industry – the folks who control the major payment cards like Visa, Master Card, Discover Card, and American Express. These providers have joined together to develop a Data Security Standard or DSS. DSS is the standard that you must meet if you are a business or other organization accepting credit cards from one of the member companies. The DSS calls for measures to secure data, eliminate data breach, mitigate risk, and maintain a comprehensive PCI policy. – just look at what it has cost some of our big businesses who have suffered data breaches in the last few years. An IBM study suggests that a record breach can cost your company an average of $158 per record breached – and the total cost to a company suffering a record breach last year averaged $4 million. Banks and credit card companies may impose fines or bring civil suits against businesses which fail to comply with the terms of their merchant/bank agreement.If you do not certify your company, you may not be allowed to use the credit cards to take payments. A cardholder information security breach can involve you in expensive and potentially damaging litigation. Banks – often called acquirers in the PCI industry – point out that they may pull credit card processing abilities of those businesses who refuse to – or are unable to – certify their business is secure. a plan that can pay off handsomely if it keeps you safer from credit card hackers out to steal your stored data. Sensitive Data includes the information encoded on a credit card – this data should never be stored. Data also can be the cardholder information businesses often gather and store – including all the personal information visible on a credit card – the account number, name of the cardholder, the PIN or service code, and expiration date. To meet bank card cardholder information security requirements, you will need to protect card readers, point of sale systems, hard copy or paper files, any of your databases where you store or transmit payment system information, shopping carts and applications for payment, and both wired and wireless networks. Meeting PCI standards can be a confusing and time consuming task, especially if you don’t have an in-house IT expert. Basically, meeting standards requires that you assess your business practices, identify any PCI Remedies required to fix your systems, and report at least annually to your cardholder bank. You will want to have a managed firewall, SSL certificates and a secure email gateway. Continental Computer Services can install those for you. You will need to verify that wireless networks are separate from the card holder data environment – we can inspect your networks and segment as needed. You will need to have policies in place to handle PCI compliance issues. We can help you create PCI compliance policies tailored to your organization. My business is really small – do I have to be PCI compliant? Unfortunately, yes – small businesses and home based businesses are especially vulnerable to attack. Can you afford to lose customers who don’t come back after a security breach impacts their credit card? if your credit card processor took away your ability to process credit cards? What should I do to start becoming PCI compliant? Determine what “level” of compliance your business is required to meet for each of the cards you accept. The level can vary from card to card so check each one carefully. If in doubt, ask your credit card bank. If you have areas where your business falls short of full PCI compliance, contact Continental Computer Services to help bring your business up to standard card industry requirements. I already have up to date SSL certificates – is that good enough? SSL certificates are a great start – but if you are collecting or storing any sensitive credit card data, you will need more protection. Make PCI remedies as needed.